As the beginning of the last year of civilization begins (at least according to the Mayans. And my friend Maya), I guess we have a lot to get through in these next 11+ months. 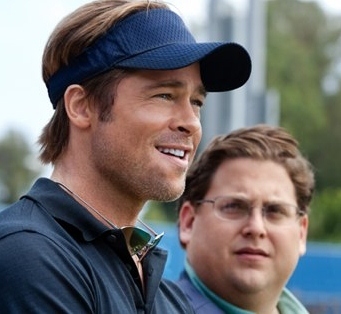 I still haven't even seen Moneyball. 2011 was a very up and down year for me personally, but I guess that's how they all go for most people who aren't George Clooney. As the calendar turns, though, I'd be remiss if I didn't reflect on the last 6 months writing this blog. What started as a suggestion from my friend Karen has turned into something way beyond anything I ever imagined when I sat down at the computer on July 4th while my son napped. I had some random ideas bouncing around the right side of my brain, which I hadn't used much in the last few years. I am thankful for each and every one of you who has taken the time to read my posts, comment on them or share them with friends. I appreciate the emails you send me and Tweets you RT. Without you, this site would just be me talking to myself. And I already do enough of that as it is. So thank you. As many people do this time of year, I've been reflecting on the year that passed. As I've been reviewing Dude of the House, I wanted to spotlight a few of my favorite blog moments from the last 6 months. If you've read these before, check them out again. 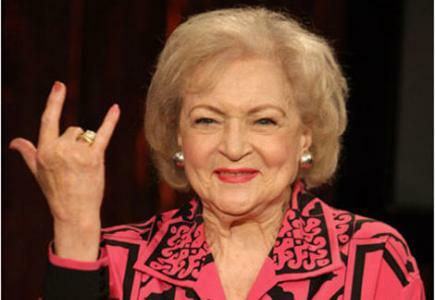 They get better with age, like a fine wine or Betty White. My Favorite Post: Poo On You I just think it's pretty funny. Several of you have said the same. Most Autobiographical Post: What a Long Strange Trip It's Been How I got to be where I am today. Wherever that is. Most Popular Post: From Deadhead to Elmo Addict Growing up is hard to do. Most Commented On Post: Your Name is What?? People are dumb. Most Egoecentric Post: My Mini-me It's true, he looks like me. Check the picture. Most Educational Post: What is a Dude? If you think you know, you probably don't. Most Serious Post: 9/11: A New Hope A shiny silver lining. Scariest Post: Lost at the Zoo It was a freaky experience and it wasn't even my kid. First Post: Independence Day Means I'm Free to Work on This First, but certainly not my best. Most Disney filled Post: Small World? Yeah Right I'm glad the tickets were free. I love all of my posts. Even a few lame ones I've ignored since posting. But check them out and leave a comment if you feel like it. And click the ads on the right. Google just might send me a nickel if you do and that will really help pay for pre-school. When the Little Dude turns 34. Thank you again for your support. Best wishes for a happy and healthy new year! Congrats on the blogging milestone!